End of week ten, and the training phase is over. Altogether we’ve trained 68 volunteers in four different versions of the orthography. The daily visit to the pool is paying off in more ways than one. Yesterday I dived in and found a 5000 cfa note (£6.50) on the bottom. End of week 8. We’re at that point in the marathon when it already feels like we’ve been here for ever, but still have a long way to go. Only swam twice this week, by Wednesday the water was lurid green. 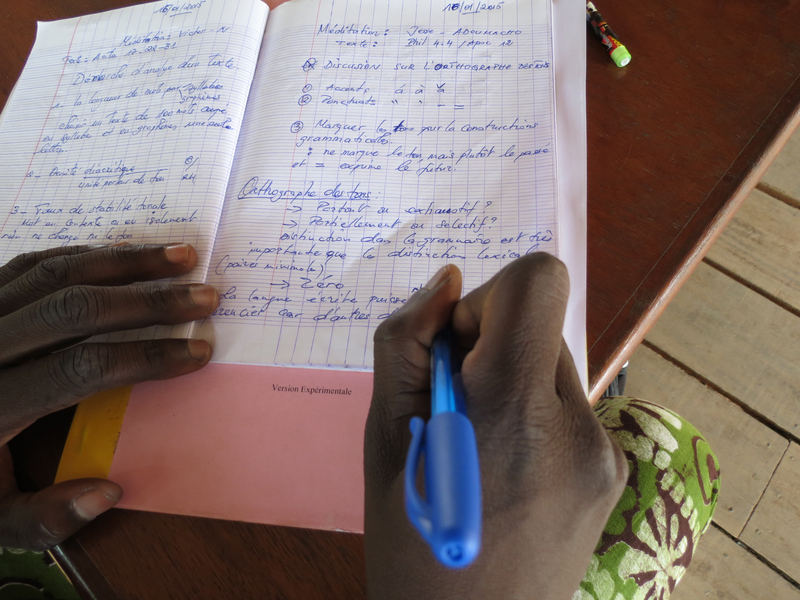 The workshop participants always return home with their exercise books crammed full of notes which they took during the lectures. In most African languages, tone plays an important role in verb conjugations (e.g. ‘you eat’ vs ‘he eats’; ‘you eat’ vs ‘you ate’; ‘you ate’ vs ‘you didn’t eat’ etc). 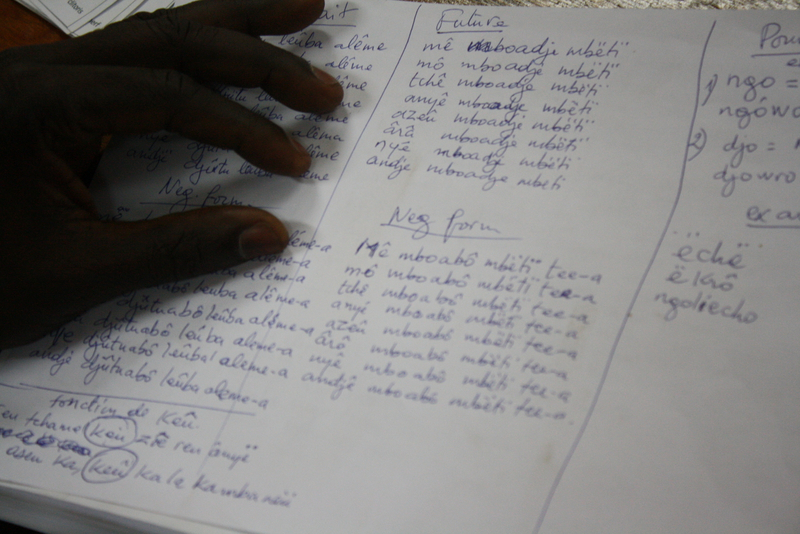 That’s why the Yaoundé workshop participants spent a lot of time writing down lists of verbs in various tenses, and discovering for themselves the patterns in their own languages. That painstaking work lays the foundation for deciding whether and how to include tone in the writing system.